If you live in Boston you’ve no doubt heard the spiel, and in fact, it’s all true: The Warren Tavern may be the most historic watering hole in America; it is the oldest tavern in Massachusetts and was visited by the likes of George Washington and Paul Revere. The Warren Tavern also happens to be “my local”. 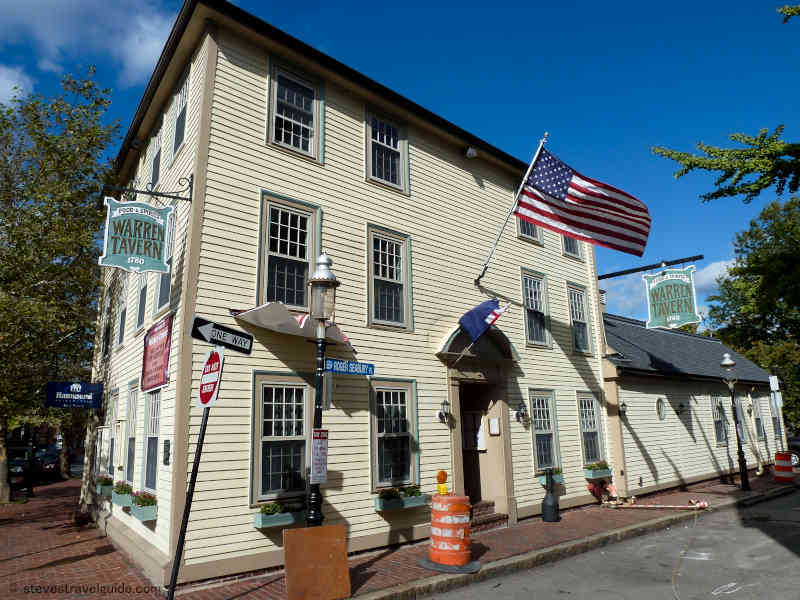 Since 1780, The Warren Tavern has been pouring pints and dishing up grub in Charlestown. I moved to Chucktown from New York City just six short months ago, and The Tavern has become my neighborhood grub hub. I’ve been for brunch, lunch, dinner and beers at midnight. They host a trivia game every Monday and live music multiple nights a week. The Tavern is family friendly through the dinner hour, gives over to Boston sports fanatics during game time, and becomes a sort of shot pounding, beats thumping, twenty something singles scene Friday and Saturday nights (not my personal fave, and if they kept the quiet pub vibe going on weekends, I would likely have awarded them 4 stars). The food is better than you’d expect it to be for a bar, but not good enough to qualify it as restaurant fare. The menu is long (which is not often a good sign), and includes mediocre barroom standards like burgers, wings and fried calamari. But dig a little deeper and you’ll find more inspired fare like their Arugula & Pear Salad or the Pastrami Pretzel Reuben. My suggestion is to stick to the native seafood classics like peel & eat shrimp, lobster rolls, crab cakes and the baked cod with potatoes and green beans they often feature on the specials menu; sprinkled with a crust of buttery Ritz crackers, this recipe optimizes the signature New England style that’s been around since, well, The Warren Tavern was founded. I would be remiss not to point out that the front room of this place is picture perfect. With its exposed wooden beams, old-growth pine floor boards and antique appeal, it’s worth waiting for a table in the front room to enjoy history, if not dinner, at its finest. Sponsored by Signazon.com the premiere restaurant sign company.